Move Winter Wyvern to an empty combat position and give it +4 Attack this round. Disarm a unit until end of round. That unit's allied neighbors battle it. Active 2: Move Winter Wyvern to an empty combat position and give it +4 Attack this round. 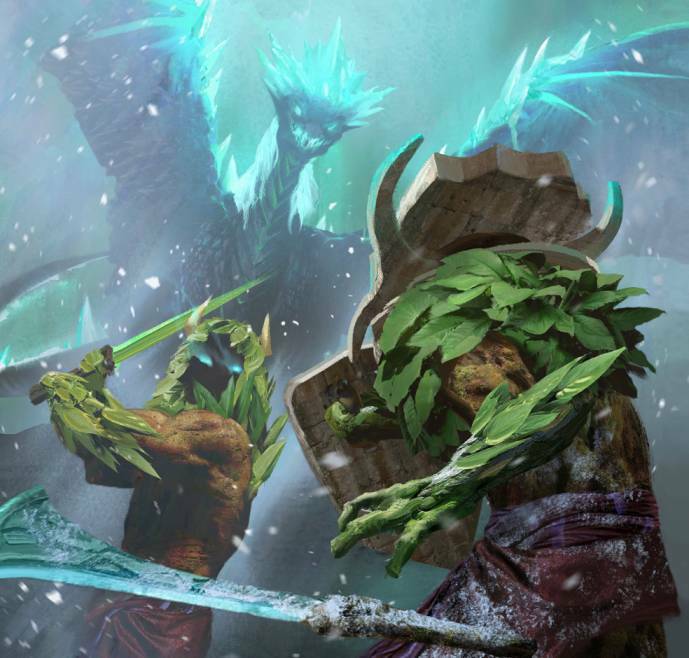 Winter's Curse Mana Cost: 6 Disarm a unit until end of round. That unit's allied neighbors battle it.